All captains will receive a USTA League Tennis Regulations Booklet. READ IT! USTA rules apply to all matches. In all matches played without officials, the USTA "Code" of Conduct shall be observed. A copy can be obtained at www.usta.com/leagues and search for "Friend at Court". Each team member shall have reached the age of 18 years for Mixed, Adult and Combo"), 50 years for Senior League, 60 years for Super Seniors and 70 years for 70 prior to or during the calendar year in which such player plays in his/her first local league match. A player may play on more than one team, but no more than two teams within a division/season. This includes USTA League Tennis Adult, Senior, Super Senior and Adult Mixed. It also includes Senior Mixed, Combo and 70 . (E.g. Bob can play on two teams such as a 3.5 and 4.0 team each in the Adult and Senior League at the same time but may not play on the third team such as a 4.5.) If there is a day division and night division a player may only play on either a day or night team, for example; Ladies 3.5 have a day division and a night division with a play-off to determine the local league winner, the player can either play on a day team or a night team, not both. ULR Section 3.01H (5) d – Players who qualify to advance to championships on more than one team may be required by their section to choose which team they will represent. Players who play on two teams must notify their captain. ULR Section 3.03A (3) – A player is eligible to advance to national championship if that player has played on that same team in at least three (3) matches through section championships. No defaults received by the player during all league competition shall count for advancing. A retired match shall count for all players involved. In all matches in which ineligible players participate, the team using ineligible players shall be penalized by forfeiting all individual matches played by such players. Team captains or their representatives at matches shall be responsible for their actions and the actions of their players. Teammates, spectators, or coaches may not volunteer advice on line calls, scoring, or on the conduct of the match. It is the home team's responsibility to control the conduct of spectators during match play. Teaching Professionals may not act as a captain. The fees for 2010 are $21.00 ($18.00 $3.00 non-refundable user fee) subject to change by Active.com per player for each League Division - Mixed, Adult, Senior and Super Senior. Once League play has begun, league fees will not be refunded. Any local league may be run through TennisLink. Any player will be subject to the $3.00 Active.com fee but the local league fees may vary and will be published on the www.saz.usta.com website. A sanctioned USTA League tennis ball must be used. The home team furnishes the balls and pays court fees for the match. Unavailability of strongest players is not a valid reason for postponing/rescheduling a match. It is common courtesy to give at least 5 days advance notice to reschedule a match. If a match needs to be rescheduled, as the home team please check with your facility first for court availability. Also, notify your facility if you cancel a match. Once a new date is established, teams are committed to play on that date unless inclement weather occurs. 3.01H (5)e At any national championship, if a player qualifies for two or more teams at the same NTRP level for an event, the individual must declare which team he/she will represent. In the absence of a declaration, the first match played will determine which team he/she will represent. 3.05C Championship Benchmarks - A championship benchmark may not be appealed following the championship year it is received except for medical reasons. If intervening permanent disabling injury or illness indicates that a championship benchmark rating may be too high, the Section League Coordinator may request a reconsideration of a championship benchmark rating by the designated medical appeal committee. A year-old championship benchmark may be appealed in accordance with the NTRP Computer Rating System Procedures. 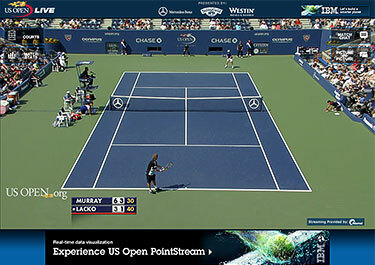 The premise of computerized ratings is to mathematically reflect the intent of the National Tennis Rating Program definitions of competitive and compatible through a system, which assigns ratings to players by direct and indirect comparison to players who compete at the USTA League National and Section Championships. A player must play in two local league matches to be eligible to play at Section Championships. A win by default counts as a match played. A player is eligible to advance to a national championship in Adult, Senior and Mixed Divisions if that player has played on that same team in at least three matches through Section Championships. No defaults will be counted toward this eligibility. A retired match shall count for all participating players. 1. A player with a valid NTRP Computer (C) rating, or Benchmark (B) rating, or granted Automatic Appeal rating of a Computer (C) rating is not subject to a NTRP grievance. Any other player is subject to a NTRP grievance.